$1.3 Trillion; Safe estimates peg it as the amount of currency that’s traded on the Forex every single day. 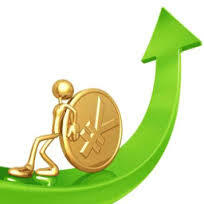 Trading on the Forex is one of the fastest growing income generating opportunities in the world. All it takes to start is a small investment (many dealers will start you off with as little as $250), and some knowledge of the world markets and of trading. Oh. And, according to those that do it every day and live off changing dollars to pounds to francs and back, some common sense, some practicality and a lot of faith are a big help. 1. The market began in the 1970s with the introduction of free exchange rates and floating currencies. 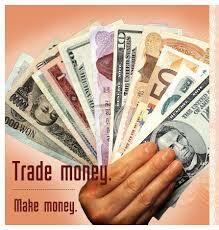 It’s the open market where the world’s currencies are exchanged and traded with few regulations. Because of the open nature of the market nearly anyone can trade and make money. The volume of trading and the enormous number of players make it almost impossible for any one trader to manipulate the market. 3. While most transactions are made in lots of 100,000, marginal trading allows traders to start trading with an investment of as little as $250-500. Marginal trading simultaneously makes trading on the foreign exchange market so possibly profitable a great risk. Trading on the margin is simply trading with borrowed capital. Depending on your dealer, you can purchase $100,000 worth of currency for as little as $500. If your trades are on target, you make a profit on the entire $100,000 lot minus dealer commission, of course. If, on the other hand, your trade ends up losing you money, you could end up being liable for far more than the $500 you originally invested. So that’s why one of the strongest bits of advice you’ll hear from most experienced forex traders is ‘Keep your eye on the margin’ or even more strongly, ‘Don’t ever trade on the margin’. 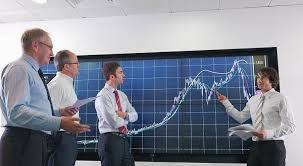 Observe a few important tips to make quick money on the forex. * Buy low, sell high. Yes, it’s a roadkill cliche, but there are many people who forget that the market runs in patterns of dips and rises. Keep your eye on the pattern and buy when the exchange rate dips, then sell when it peaks. * Remember to cut your losses. No one, no matter what they tell you, runs a 100% profitable system. What they do have is the knowledge to get out of a trade before it goes further south. If you make a trade that decreases in value, decide ahead of time how much you can afford to lose. When you reach that low, sell. Don’t hang on ‘in case it turns around’. *Understand the situation in the country whose currency you’re trading. The economy and politics of a country have a profound effect on the exchange rate of its currency. Keep your ear to the ground and be prepared to move based on what you hear because everyone else will. * Select a system that fits your lifestyle. System is what it’s all about, according to traders who make money in the market. A system helps you decide in advance exactly how much you can afford to lose, and set stop/sell or buy orders based on those figures. Pick a system, live your system, and don’t second-guess your system. * Focus on the bottom line. Especially if you’re day trading, you’ll find that you lose at least as often as you win but you can still come out ahead if you plan your strategy and system out in advance. By deciding in advance how much you can afford to lose in a trade, and when you should take your profits and cut them loose, you’ll make a profit even when most of your trades are losers. * And remember remember remember to upgrade your knowledge before taking the forex leap. Treat forex trading like a regular business. You can’t make money without knowledge, skills and a good attitude. Study, take notes and practice then go out there and make some serious money. PREVIOUS POST Previous post: Forex Trading Account Sizes, Lots and Margin Calls.